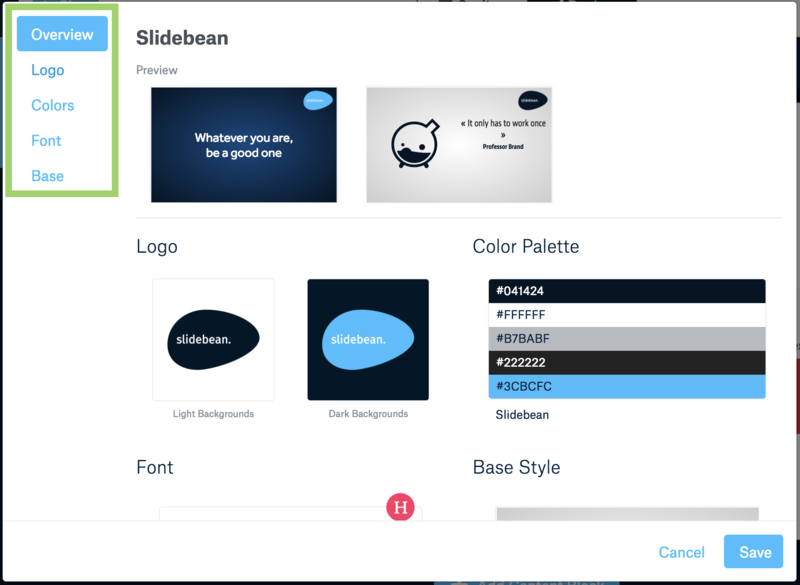 Slidebean makes design simple for everyone. With just a few clicks, you can generate a custom Theme, save it in your account and apply it to other presentations. 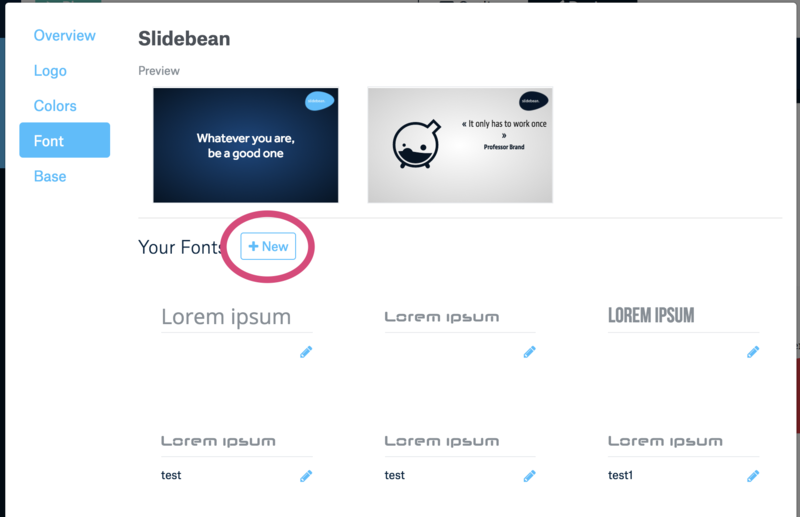 A Theme is the style of your slides and we've created a list of options available to all users. However, if you're a Premium or Professional member, you'll be able to create you own themes. Here's how to do it. Once in the presentation editor, move to the Design view and click on "Theme". There, find the "New +" button and click on it. This will take you to the theme editor, where you can upload a logo, create a custom color Palette and choose a base Style. You can set each of these variables by just clicking on them, or with the menu buttons on the left-hand side. For the Logo, there's two buttons to upload: a version for light and dark backgrounds. Just click on it to be able to browse your computer files and upload it. 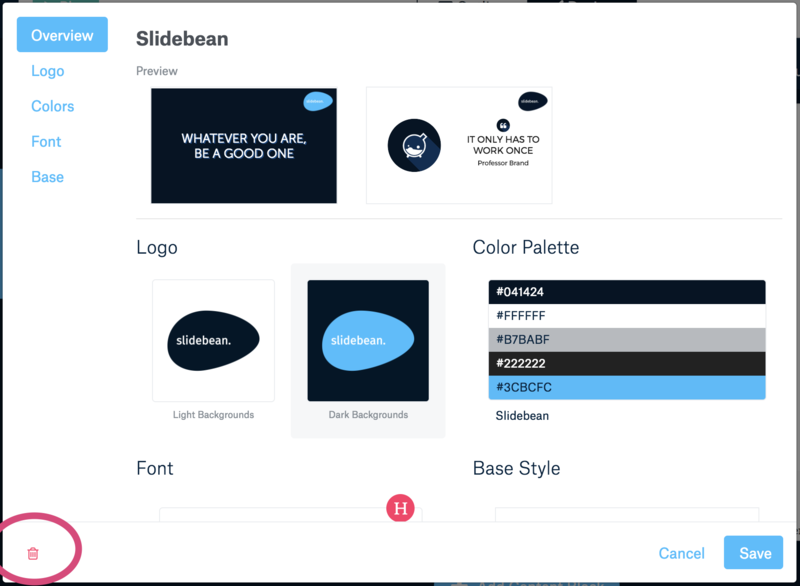 Once the logo is added, Slidebean will generate a suggested color Palette for your presentation, matching your logotype. If you don't want to use the suggested palette, you choose one of the available ones or create your own one, clicking on "New +". You can also upload your own Fonts, in case you have the font file. Just move to the "Font" section and look for that "New +" button. Or choose one of the available ones, both for Headings and for Body text. Then finally, choose one of the Base styles we have for you in order to give your Theme the look you want. As simple as this, you can set up the layout of your slides and make them unique. If you want to remove a custom Theme you've created, go to the "Theme" options again and find it among "Your Themes". There, find the Pencil button and access to edit it. Once there, use the Trash bin icon on the lower left side.